We hope that you can join us on May 5th to celebrate 30 years of Chabad in Binghamton and to honor Michael Wright & Sandra & Roy Paston. 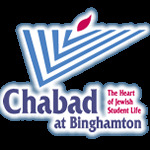 Cocktails and buffet dinner at 6pm followed by program at 7:30pm at the Chabad Center in Vestal. I/we are unable to attend, however, I/we would like to make a donation in support.